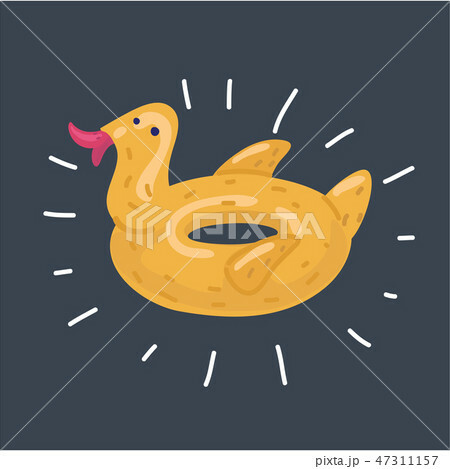 Vector cartoon illustration of Inflatable swimming ring in shape of funny yellow duck. Floating beach toy. Rubber circle for children fun in pool.